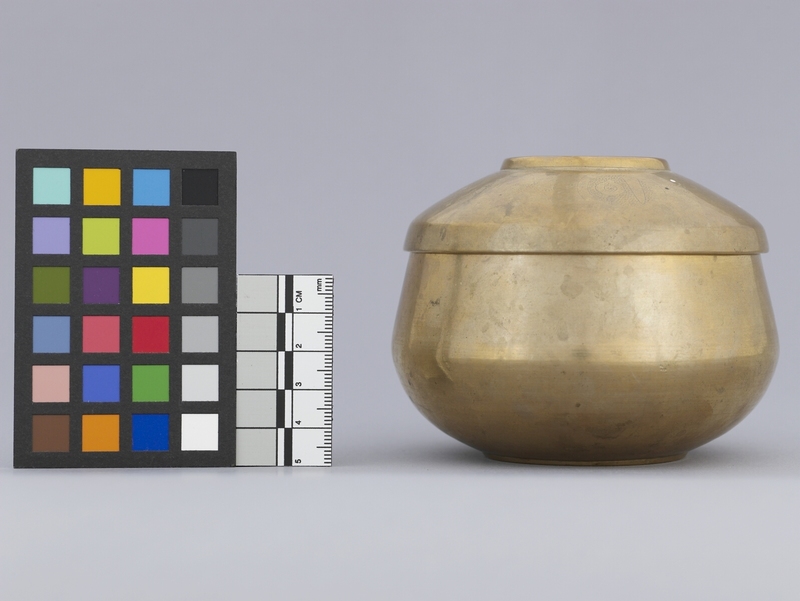 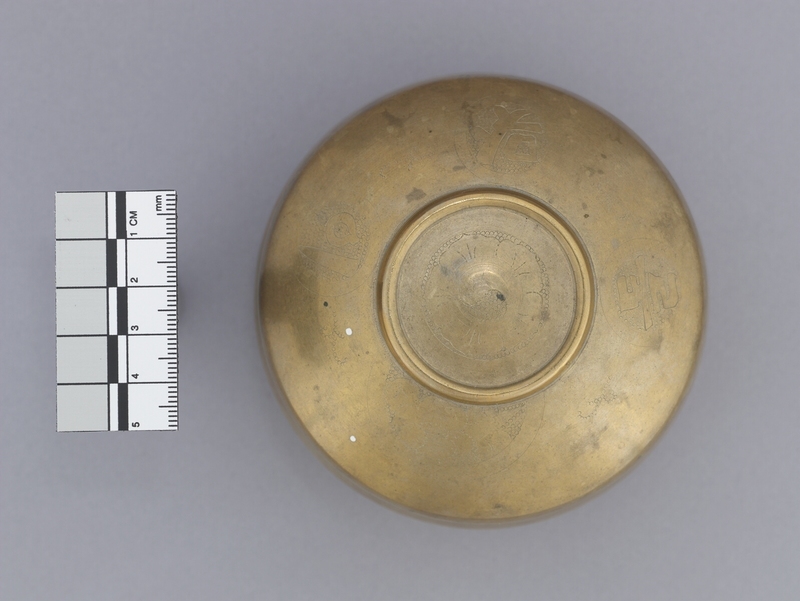 Item number Ed1.347 a-b from the MOA: University of British Columbia. 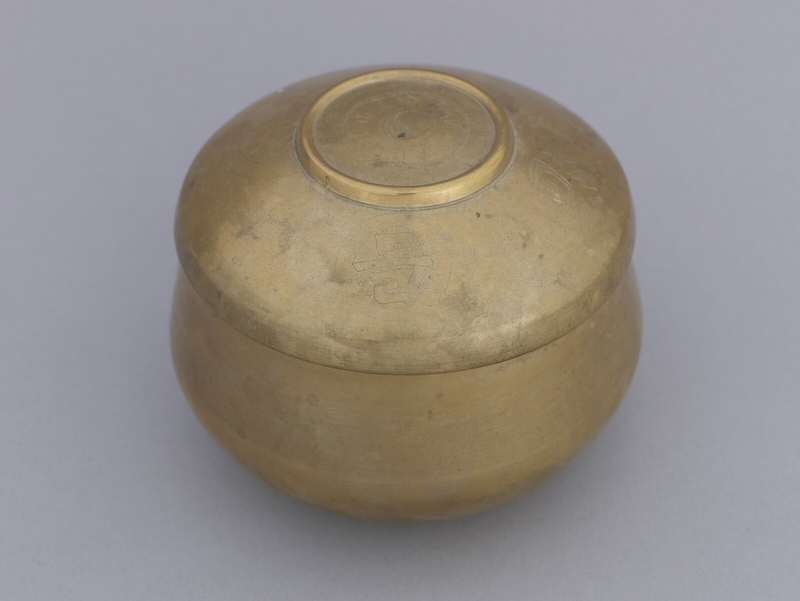 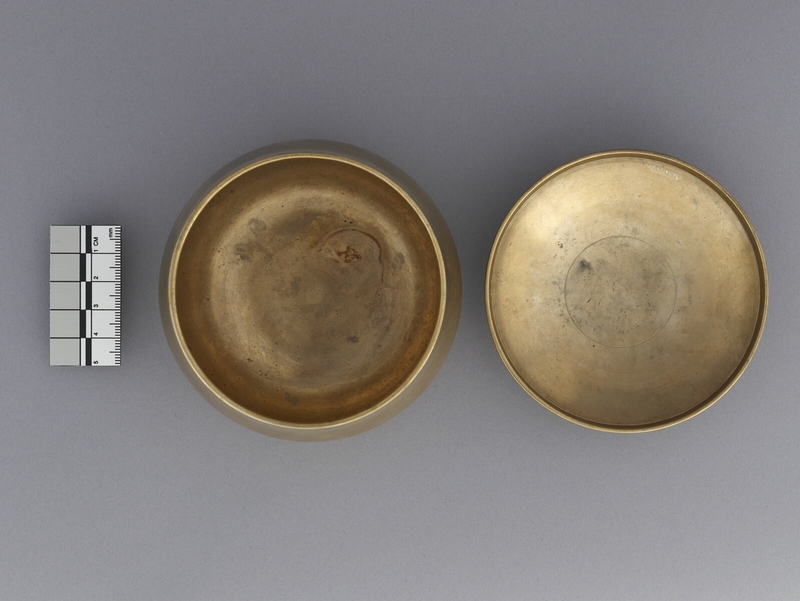 Round, slightly squatted bowl (a) with lid (b). 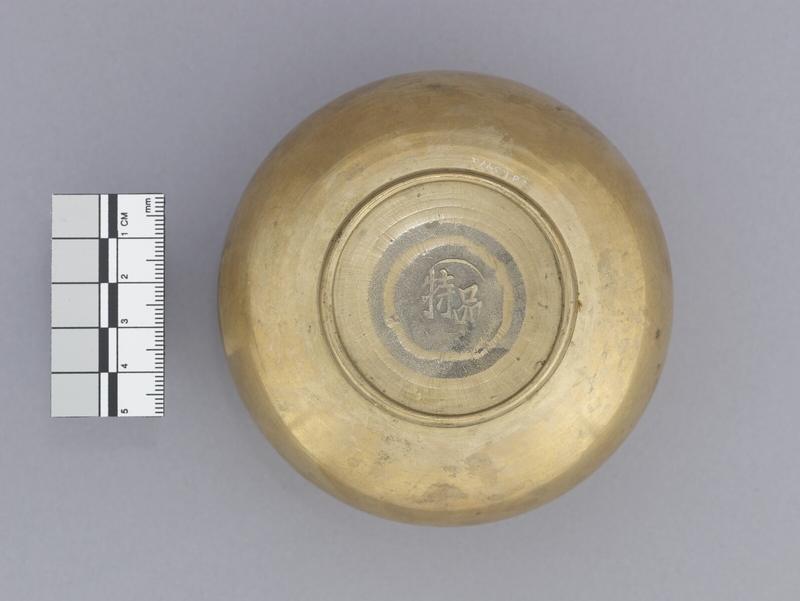 Lid has raised ring at centre with incised circular floral design outlining what appears to be a yin-yang symbol; outer lid is incised with four evenly-spaced circular designs, three of which appear to be characters and the fourth is floral; four smaller designs are evenly-spaced between the four main designs.